There were three first-time finalists this week on the ATP World Tour, including one all-first-timer final, with a pair of men walking away with the first titles of their careers. After the Australian Open and Davis Cup have been the focus of the men’s tennis world for nearly a month, regular service resumed this week on the ATP World Tour with three tournaments taking place. A handful of stars descended on the indoor hard courts of Europe, while the clay court specialists got one of their favourite parts of the season underway in South America. This week was particularly notable for the performances of men who had never reached a final before. Three men reached their first career main tour finals this week, with two of them claiming titles. 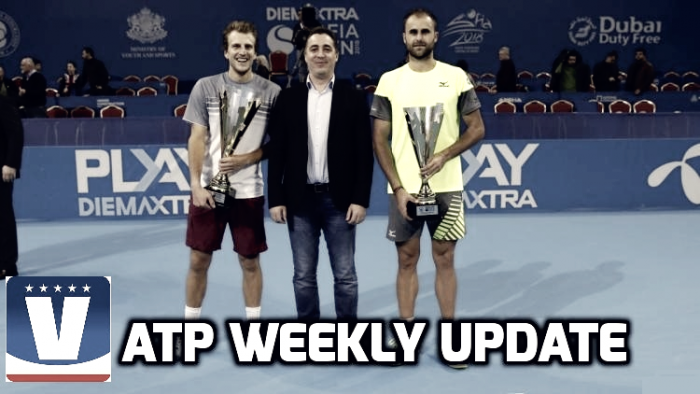 Here’s your ATP Weekly Update for week six of the 2018 season. Despite perhaps the least star-studded field of the three tournaments this week, the Diema Xtra Sofia Open turned out to be arguably the most fascinating. 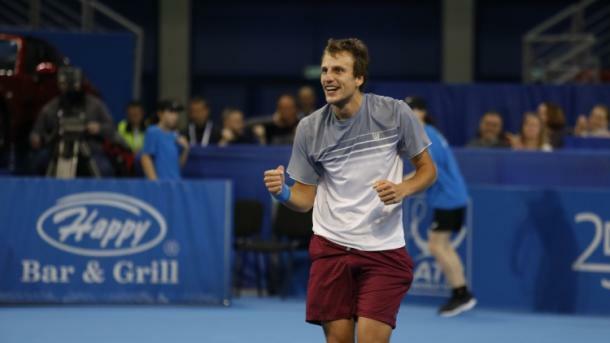 Sofia would play host to the first battle of first-time finalists in 2018, with Mirza Basic defeating Marius Copil to win the first title of his career. The match was a cracker, with the first two sets going to tiebreaks before Basic edged the decider 6-4 to claim the title. Check out the full final recap here. Basic caused a pair of upsets on his way to the final, defeating fourth seed Philipp Kohlschreiber in the second round before upsetting top seed Stan Wawrinka in the semifinals. Copil had also defeated a pair of seeds, beating fifth seed Robin Haase in the first round and third seed Gilles Muller in the quarterfinals. Wawrinka was the only seed to reach the semifinals. Copil put an end to the Cinderella run of qualifier Jozef Kovalik to book his spot in his first career final. 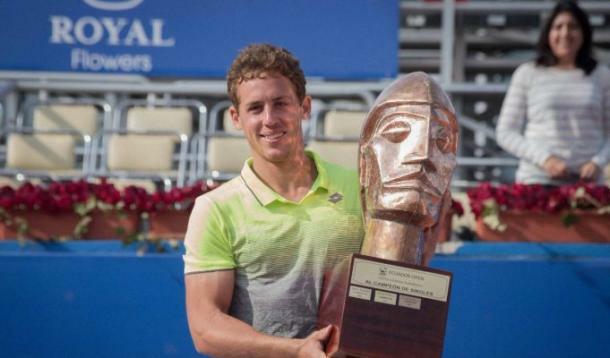 The French ruled on home soil in Montpellier this week, with Lucas Pouille coming out on top, claiming the Open Sud de France title over countryman Richard Gasquet in straight sets in the final. Four Frenchman reached the quarterfinals and three advanced to the semifinals, with Pouille and Gasquet setting up the all-French final. Gasquet upset top seed David Goffin in the semifinals, overcoming a bagel in the second set, but could not find an answer to Pouille in the final, who claimed the fifth title of his career with a straight-sets win. Check out the full final recap here. The French dominated the field, with Jo-Wilfried Tsonga also reaching the semifinals, while Benoit Paire made it to the quarterfinals. In total, eleven Frenchmen were in the draw with eight winning at least one match. The Russian youngsters were also impressive, as both Andrey Rublev and Karen Khachanov reached the quarterfinals. The Ecuador Open Quito has always been a tournament of surprises and this year was no different. 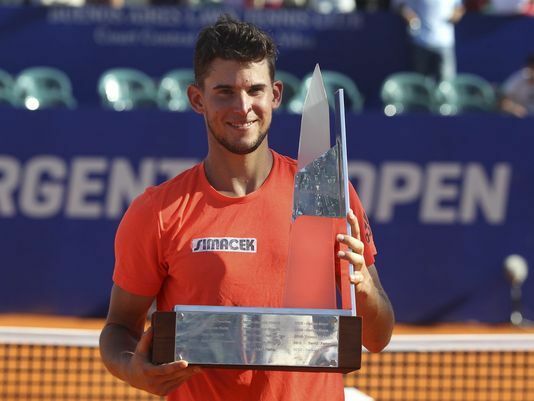 In a field full of some of the world’s best clay court players, it was the world number 107 Roberto Carballes Baena walking away with the title after defeating Albert Ramos-Vinolas in a three-set final. Reaching the main draw as a qualifier, Carballes Baena upset fourth seed Paolo Lorenzi in the second round and eighth seed Nicolas Jarry 7-5 in the third set tiebreak in the quarterfinals to reach the last eight. There he defeated fellow qualifier Andrej Martin, who had upset top seed Pablo Carreno Busta in the second round, to reach his first career final. Victor Estrella Burgos came into the tournament as the only person to have ever won the Ecuador Open, having won all three previous editions of the event. His reign in Ecuador came to an end in the second round as the sixth seed fell victim to a comeback from Gerald Melzer, ending his run in Ecuador at sixteen unbeaten matches. Brazil’s Thiago Monteiro also had an impressive run, knocking off fifth seed Horacio Zeballos and third seed Gael Monfils on his way to the semifinals before falling to Ramos-Vinolas. 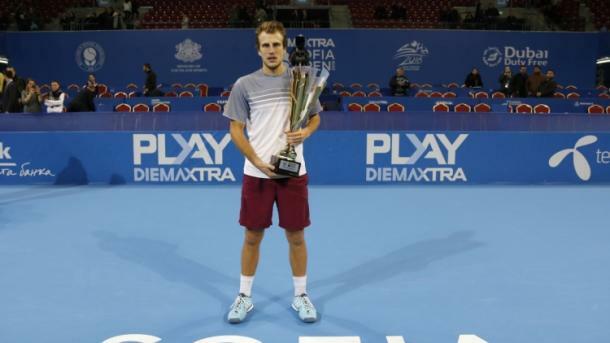 The champion in Sofia jumped 55 spots in the rankings after winning his first career title in his first final. The Bosnian hopped into the top 100 for the first time in his career up to number 77, 32 spots higher than his previous career high. Quito champion Roberto Carballes Baena had the second highest jump, climbing back into the top 100 up to number 76. Sofia runner-up Marius Copil jumped 19 spots to match his previous career high of number 74. 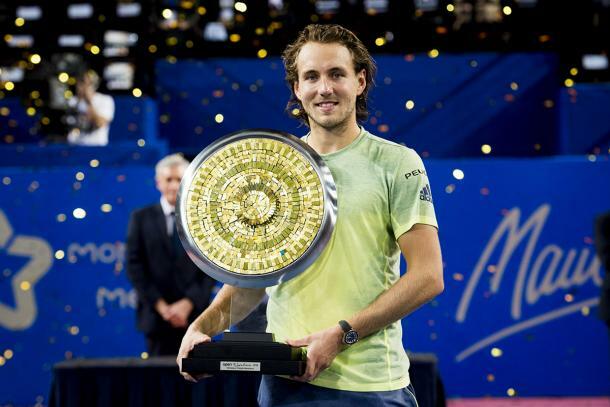 Lucas Pouille’s title in Montpellier only allowed him to jump one spot to number sixteen. Victor Estrella Burgos’ second-round loss in Quito saw him fall 53 spots out of the top 100. Stan Wawrinka’s semifinal run helping him claw back some ranking points, inching closer to the top ten with a rise to number thirteen. Despite not defending his title in Marseille, Alexander Zverev still managed to climb back to number four in the rankings thanks to Grigor Dimitrov’s withdrawal from Sofia. The top six in the Race to London remained unchanged, as most of the tour’s top players were not in action this week. However, Basic’s title in Sofia vaulted him into a qualifying spot, up to number seven. That rise bumped Australian Open semifinalist Tennys Sandgren down to number eight. It also knocked world number one Rafael Nadal out of a qualifying spot as he falls to number nine. Carballes Baena’s title in Quito also sees him jump 242 spots in the Race to London up to fifteenth. There are three tournaments on the schedule this week on two different surfaces on three different continents. Focus will be on the 500-level event in Rotterdam, while the 250-level Argentina and inaugural New York Opens will also be contested. All eyes will on wildcard and top seed Roger Federer, who has more than just a title on the line as he contests his first event since winning the Australian Open. The biggest event of the week could see the Swiss maestro return to number one in the world for the first time since November 2012 should he reach the semifinals of the ABN Amro World Tennis Tournament in Rotterdam. 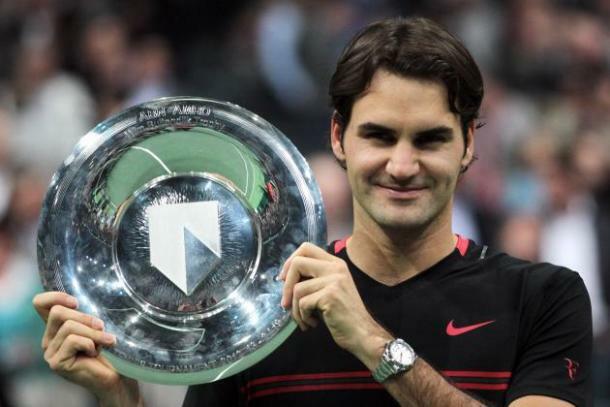 Federer has reached the final three times previously, winning two titles. The most recent crown came back in 2012, on his way to a return to number one. Federer took a last-minute wildcard to enter the event. Standing in his way will be rival Stan Wawrinka, who is slated to be Federer’s quarterfinal opponent. Wawrinka won the title in 2015. It may be a good thing that the Swiss will have number one wrapped up if he reaches the semifinals, as Alexander Zverev could be looming, although he himself will have to survive a blockbuster first-round clash with David Ferrer. Gilles Muller is the other seed in that quarter. David Goffin joins the loaded field as one of four top-ten players in the tournament. He is in the third quarter along with sixth seed and 2014 champion Tomas Berdych. Grigor Dimitrov is the second seed and also has a brutal draw. Two of week six’s finalists are in his quarter of the draw, as either Copil or Pouille could be his quarterfinal opponent. Also notable in that quarter will be the ATP World Tour debut of Felix Auger-Aliassime. The seventeen-year-old Canadian and best friend of young star Denis Shapovalov has long been considered to be the great white north’s best hope for the future, which is saying something considering the success of his buddy Shapovalov. He opens against Filip Krajinovic and could meet Dimitrov in the second round. Tennis fans in New York will no longer have to wait twelve months for the tour to return between US Opens, as now they have the New York Open, a new 250-event debuting this week. The inaugural draw at the event is full of Americans, including seven of the ten Americans ranked in the top ten, led by John Isner and Sam Querrey. In total, there are ten Americans in the draw (so far, as qualifying places are still up for grabs) out of 28 men, including four seeds. 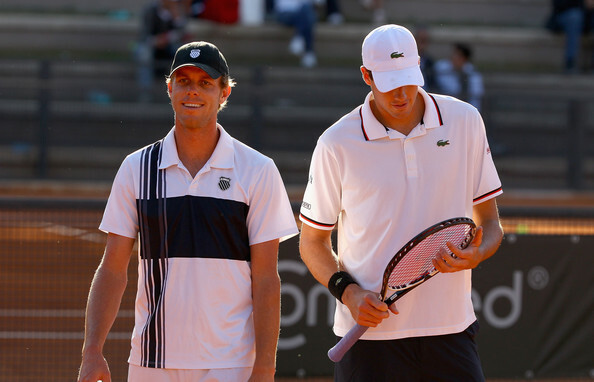 Isner (3), Querrey (4), Ryan Harrison (6), and Steve Johnson (7) are seeded. Looking to recapture his New York magic, US Open runner-up Kevin Anderson is the top seed. Kei Nishikori will also be looking to get his groove back after an injury-riddled 2017 season. The 2014 US Open runner-up is seeded 5th. Adrian Mannarino (4) and Nikoloz Basilashvili (8) round out the seeds. The top four seeds have byes. Australian Open boys champion and junior world number one Sebastian Korda, son of former Australian Open champion Petr Korda, will make his ATP World Tour debut at the New York Open. The world number 870 received a wildcard into the event and will open against another rising American star, Frances Tiafoe. The Golden Swing continues in South America with an impressive clay court field at the Argentina Open. 2016 champion Dominic Thiem leads the field as the top seed and lone former champion in the draw. 2017 champion Alexandr Dolgopolov is not defending his title. World number ten Pablo Carreno Busta joins Thiem as the other top ten player in the draw and is seeded second. The draw is full of strong clay court players. Quito runner-up Albert Ramos-Vinolas is the third seed, followed by fourth seed Fabio Fognini. Diego Schwartzman, Australian Open semifinalist Kyle Edmund, Pablo Cuevas, and Fernando Verdasco round out the seeds. Only Edmund has never won a tour-level title on clay, although the Brit has won four futures and two challenger titles on clay in his career. There are also eight Argentinians in the draw (not including Schwartzman) who could wreak some havoc on home soil.